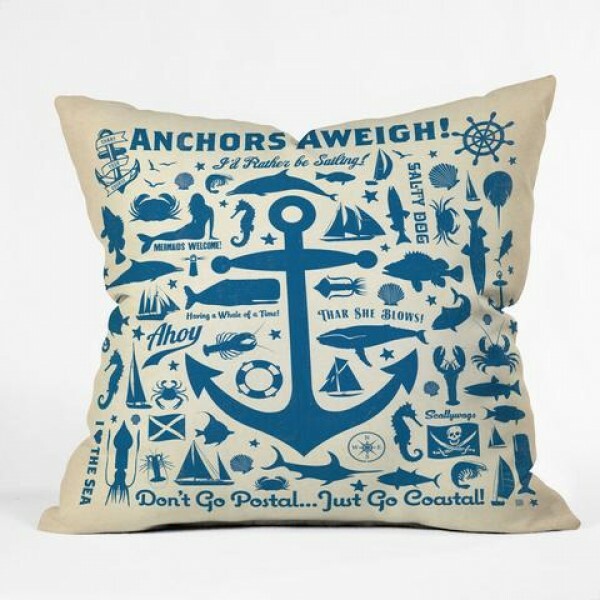 This pillow has all things nautical. Perfect for the salty sailor in the family. A fun piece for living room, family room or any place in your beach style home. Available in different sizes. Pillow is custom made and will take longer to ship. Made in USA. For indoor use.